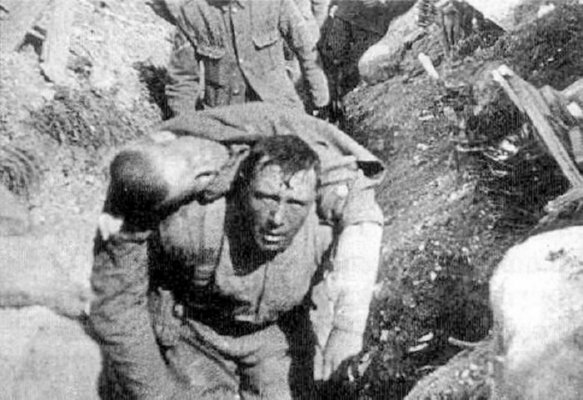 This morning a hundred years ago, they counted the dead after 24 hours of the Battle of the Somme. In the British Fourth Army alone, there were just under 20,000 – mostly young men. 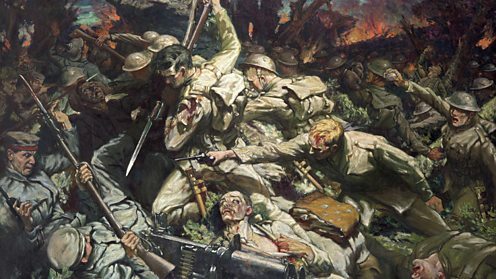 By the end of the battle, in November, when nobody had won, over a million young men, British, French, and German, had lost their lives, and many more were badly maimed, physically and mentally. At the same time, between February and December, another battle was fought in Verdun. A little over 300,000 young men died, and a catastrophic amount were maimed. When the First World War ended, everyone said ‘Never Again’. But they put no mechanism in place for ‘Never Again’, it was all just fine sentiments. Instead, Germany was imposed punitive war reparations and conditions that beggared it and led its people straight into the arms of fascism. 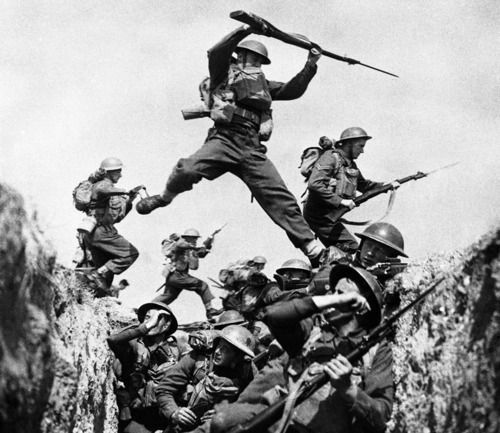 It’s hard to credit it, but the Second World War, fought within what would have been the lifetime of the 1,3 million young men who died in those few short months in 1916, made even more casualties – three or four times as many as the whole First World War, civilians and soldiers. It was Britain’s huge misfortune that despite the encouragement of Churchill, the man who got Britain through the Second World War, its Labour government of the time turned a cold shoulder to the project. By the time Britain asked to join in 1962, De Gaulle vetoed its entry (in passing – he was a bloody ingrate!). But eventually, in 1972, we were admitted, and welcomed in to take part in this great enterprise of trade and political union. 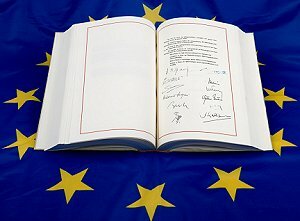 Now, after 44 years during which many of our British politicians kept up a fence between ‘them’ and ‘us’, years that nonetheless delivered cooperation between old enemies and mutual economic benefits, we are leaving this union. We are turning our backs on the longest period of peace our continent has ever known. We are turning our backs on the idea that it is better to work in each other’s countries than kill in each other’s countries. 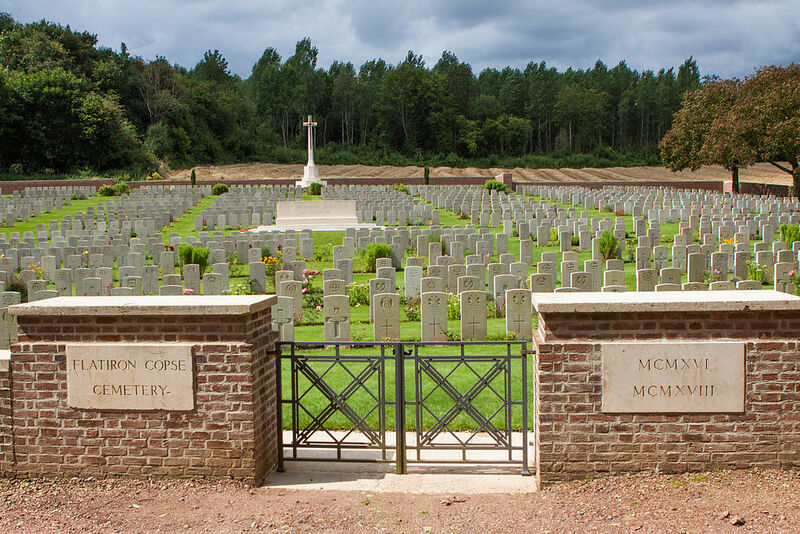 Yesterday and today, all over the country, and in France and Belgium there have been commemorations for the million dead at the Somme, and the 20,000 young British soldiers who died in its first 24 hours. Official speeches, unofficial events in public places, flash mobs, readings on the radio, documentaries on television. We remember them. We say we honour them. But do we honour them? I am no longer sure. What honour are we giving these young men, who fought for a better world, a world where cooperation replaces bullying and militaristic flag-waving? How do we honour them, when we are leaving the European Union, an organisation specifically founded to replace war and nationalistic rivalry by trade and political cooperation, and leaving because there is ‘too much immigration from Europe’. “Too much immigration from Europe” implies both that we are not a part of Europe — that we are, somehow, not European — and that this foreign, non-British ‘Europe’ is sending us foreigners we don’t want, we who sent our young men to fight, bleed and die in that very Europe. 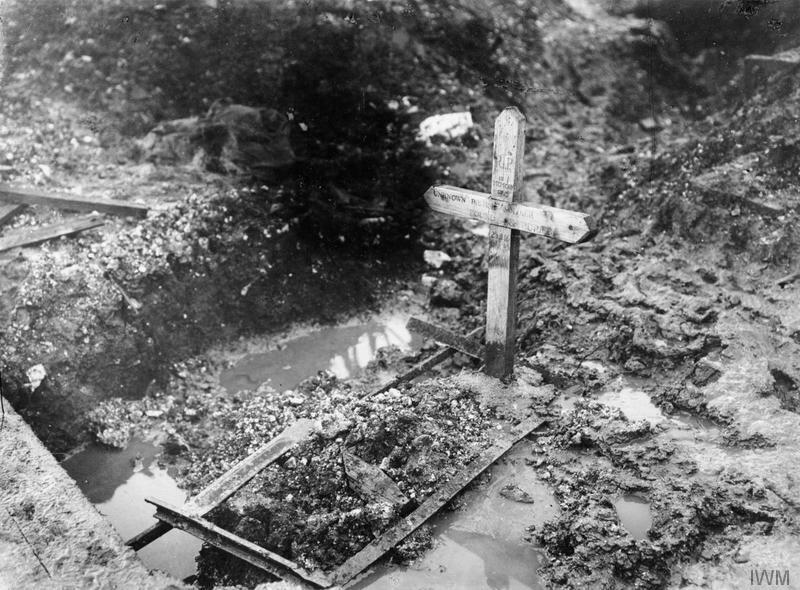 For the 20,000 British young men who were killed on the first day of the Somme, for the million who died during the whole battle, for the many more that died during those 4 awful years, and, 23 years later, during the 6 years of the Second World War, I am in deep mourning. In mourning for them, and for our having left the European Union, a project for peace and unity – made not only with words and sentiment, but with action. And controlling our own future, you might ask? Leave voters voted for that ideal. Well, to give George Bush Sr’s answer back in 1992, when he lost to Bill Clinton: “it’s the economy, stupid”. Our ability to control our future has taken a nose dive with the pound.